Hosting a Quilt Square Swap! I just finished hosting a quilt square swap. If you haven’t participated in one before, here’s how it works. Each swap has 30 spots in it. Each participant signs up for one or more spots. For each spot, one yard of fabric is sent in. 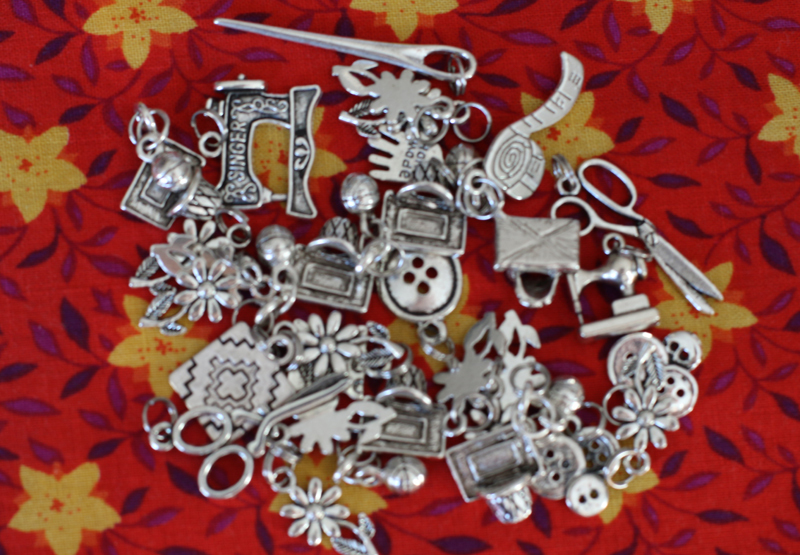 For each yard, 30 different 6.5″ squares are returned, including one from the yard sent in by the participant. In the past, each participant has sent in their squares already cut. 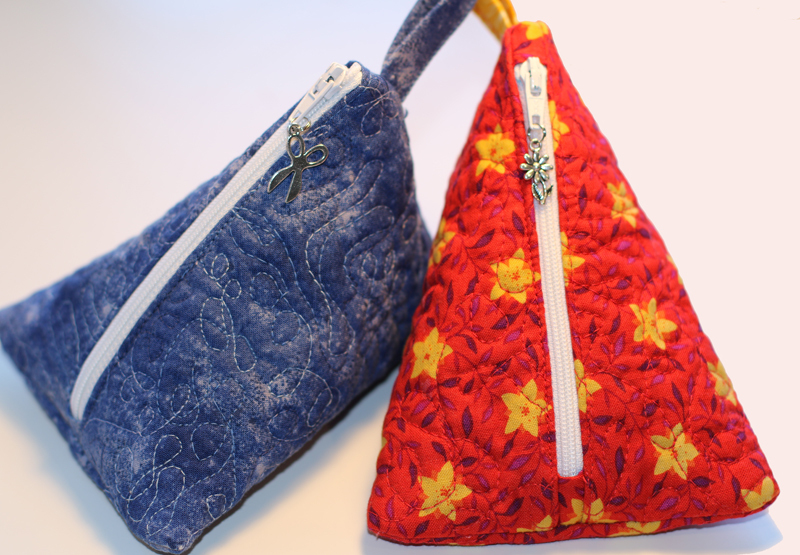 For this swap, participants sent in uncut fabric and I ran it through my Accuquilt Studio cutter to make the squares. This worked really well. However, there were a couple things I didn’t consider. 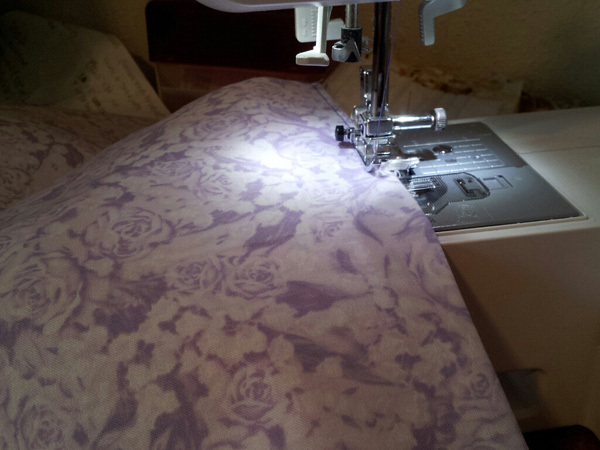 1) Fabric sent through the mail needs to be ironed before it can be cut into squares. 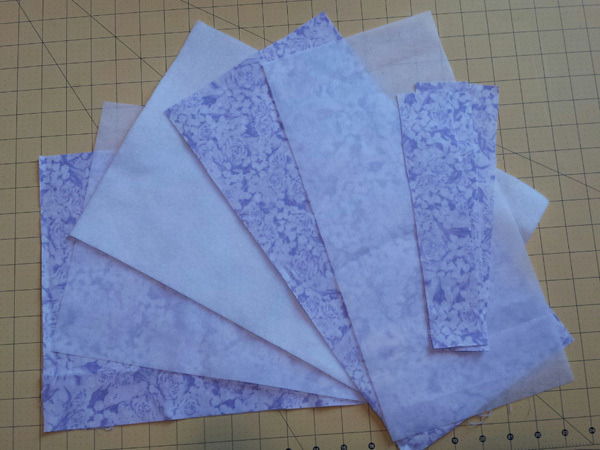 2) I can cut one yard of fabric pretty quickly to make 30 squares. However, doing this 30 times takes a while! While ironing, cutting and sorting, I played through an entire season of Mad Men on Netflix and made my teen sit through Sneakers! In this case, two swaps ran at the same time to make shipping costs more economical for participants. So, those piles each contain 900 squares. 1800 squares total from 60 yards of fabric. Then I stacked them just to get them out of the way so there was room to pack them! Once sorted and packed by destination, they just need postage! One waiting for an address, but the rest are ready to ship! I will drop them off at the post office since I try not to leave big piles of mail for the mail carrier without giving him advance warning. I am looking forward to seeing what all these squares become! 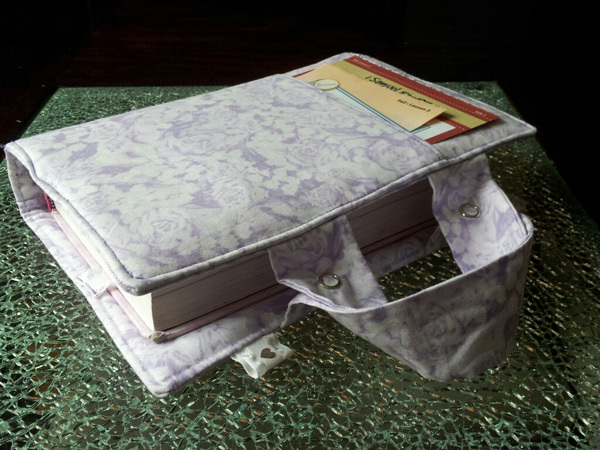 Sewing Tutorial: Create a Cover With Handles to Carry Your Bible or Other Study Books! 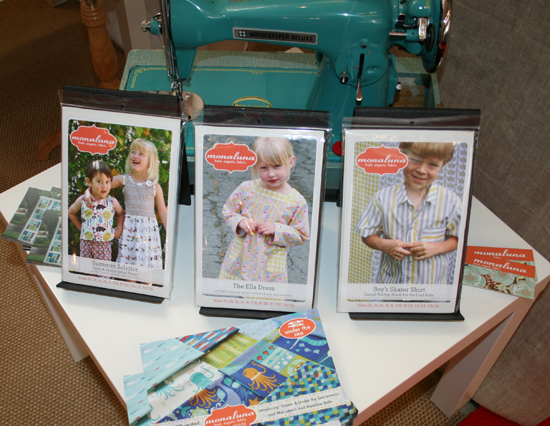 This tutorial was created for Sewing Mamas by Kelley, who is Chrisnkelley in our forums. Thanks Kelley! This is a Bible cover for my daughter. 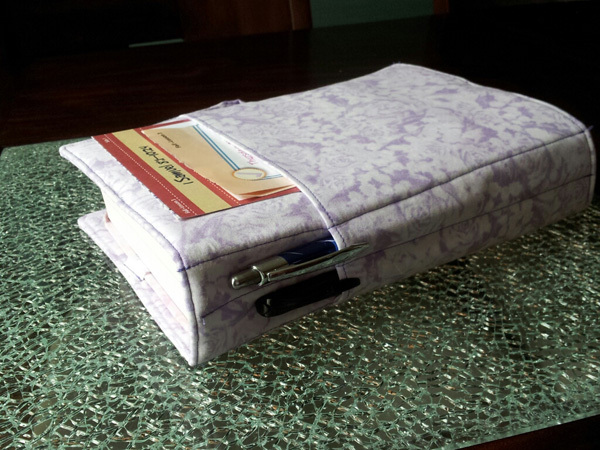 The cover has 2 ribbon straps to hold the Bible in place, pockets on the front and back for papers, and a spot for 2 pens on the spine. 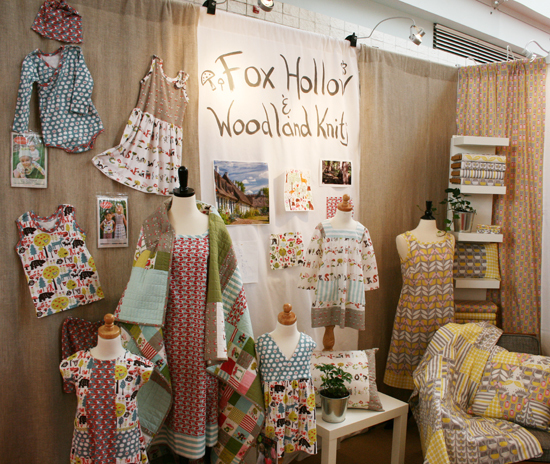 You will need about ⅓ yards of fabric, fusible fleece, interfacing, and ribbon. 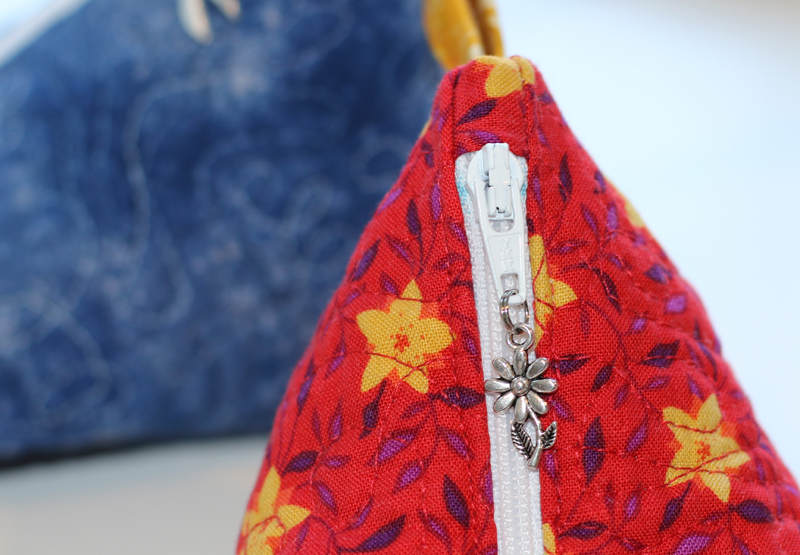 Also, you might choose to add snaps, buttons, magnetic snaps, or something else for a closure. The pieces are all rectangular and are based on the size of the Bible (or other book) that you are making the cover for. 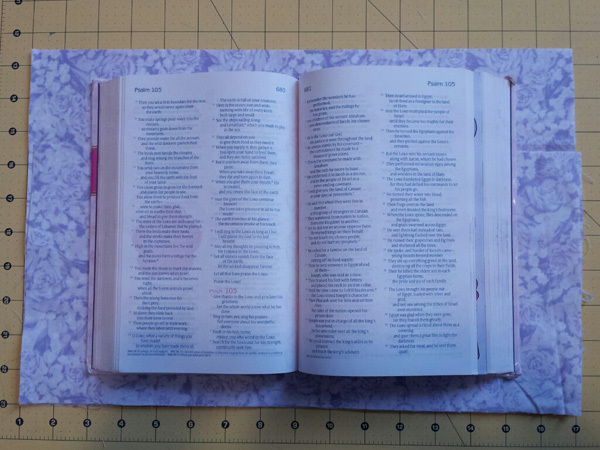 The first thing you’ll do is cut 2 pieces for the outside and inside of your Bible cover. This will be based on your Bible’s dimensions. 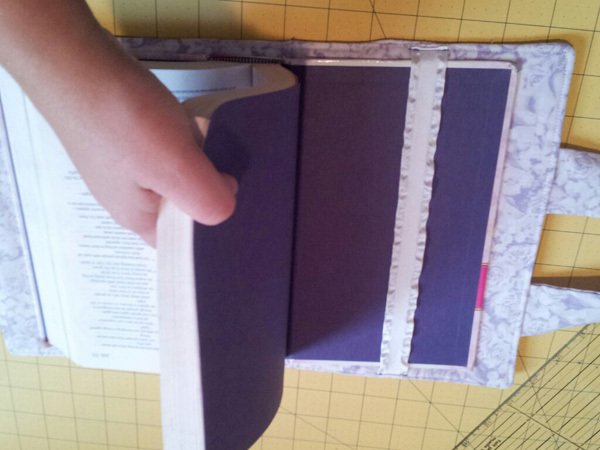 As you can see in the photo below, I laid my daughter’s Bible down open so that the covers and spine were all spread out, then I measured 2 inches out widthwise on each side and 1 inch out top and bottom. The Bible I used is a children’s Bible. My personal Bible is larger, so these dimensions won’t be correct for all Bibles. 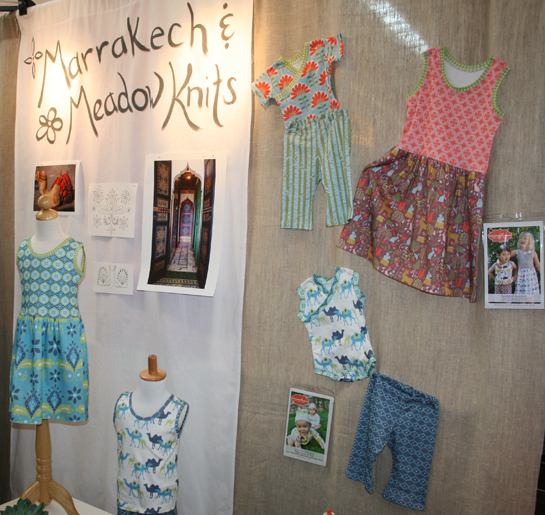 The pieces I cut were 10-½ inches high and 16 inches wide. Cut 2 of these pieces. 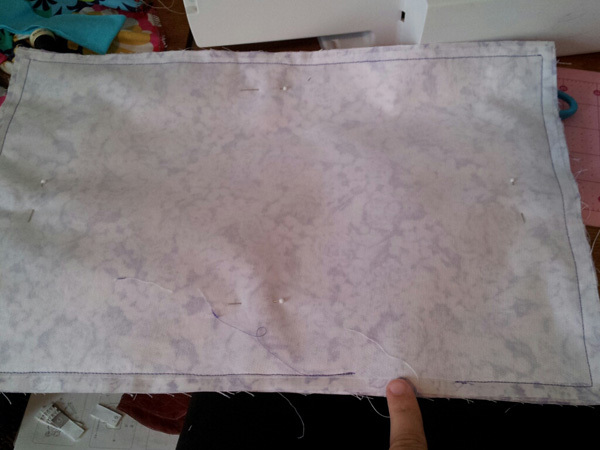 The next thing I did, which you can see in the photo above, is to cut 2 pieces for the pockets. These pieces should be the entire width of the cover pieces, but about 3 inches shorter. My pocket pieces are 16 wide by 7-½ inches high. This is not critical if you go a bit higher or lower, it will just affect pocket depth. You can see this if you look closely above, especially on the right side. I laid the pocket pieces on top of the cover pieces. 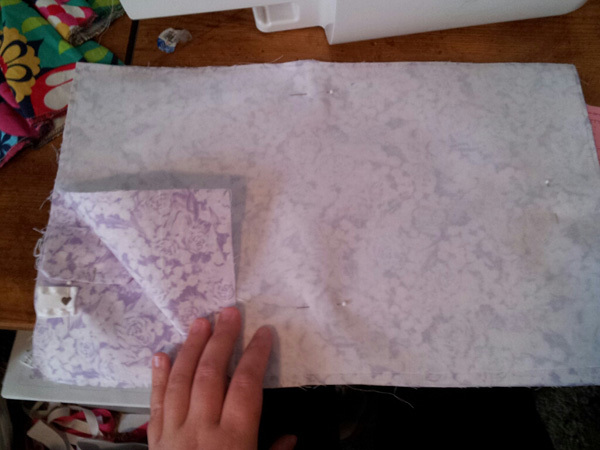 Next (not shown), the same size as your cover pieces, cut 1 piece of fusible fleece and 1 piece of interfacing. 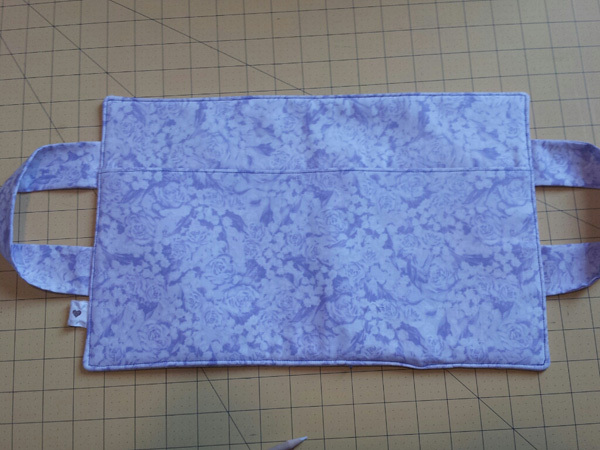 You can use 2 fusible fleece if you want a puffier case or 2 interfacing if you want it thinner, but I personally would want at least 1 layer of fusible fleece in there. 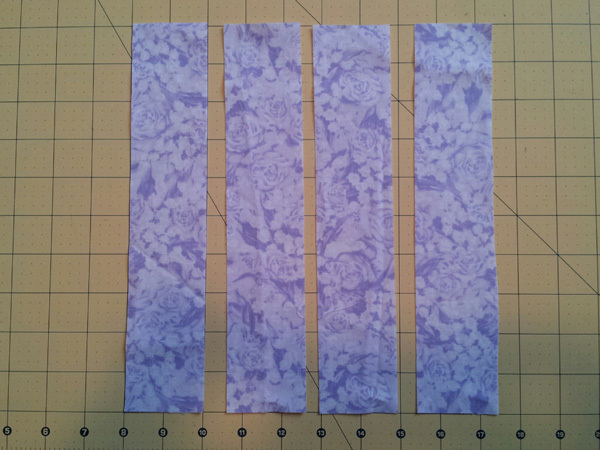 Then, cut 1 piece of interfacing the size of your pocket pieces. 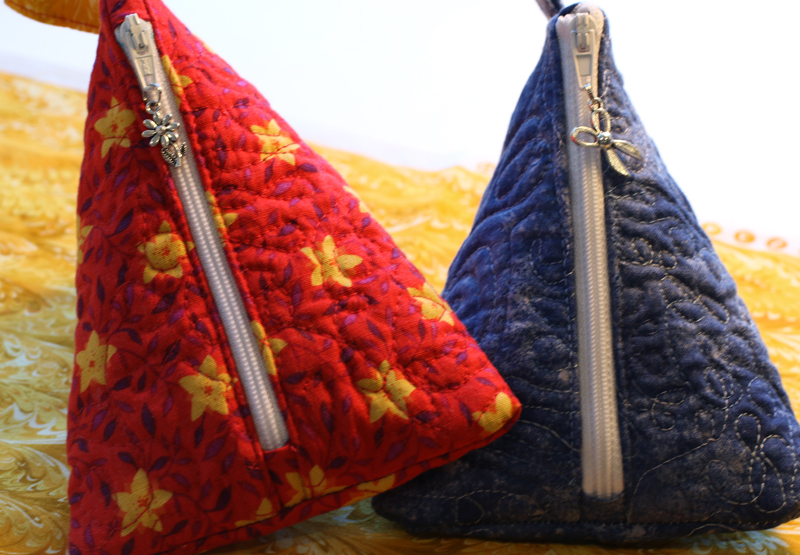 You could interface both pocket pieces for a stiffer pocket if you’d like, or even use fleece. 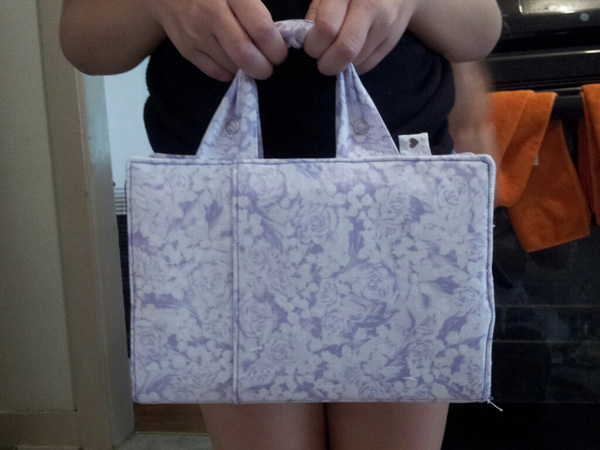 I did 1 piece of interfacing and I think it turned out great. 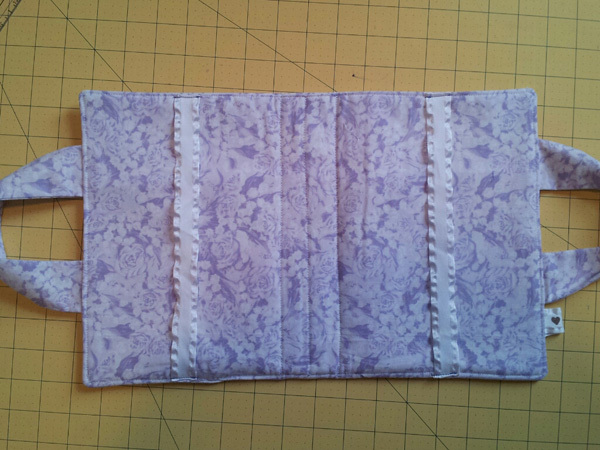 Now, sew 2 strap pieces together along the long sides, then turn right side out and press. Topstitch the long edges. The short edges can remain raw since they’ll be sandwiched in the seam of the Bible cover. Now, fuse your fleece to the wrong side of 1 cover piece and the interfacing to the other cover piece. 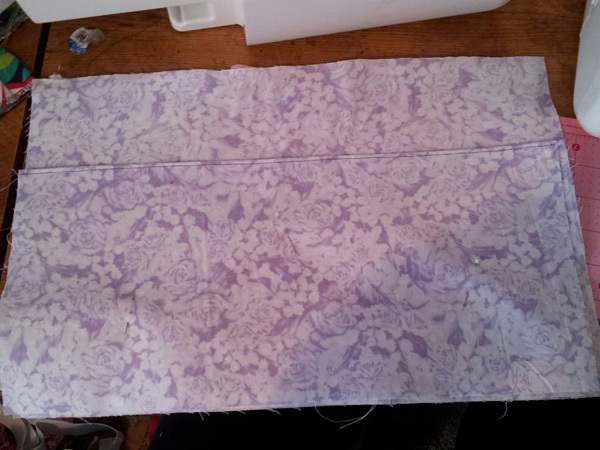 Then fuse the pocket interfacing to one of the pocket pieces. 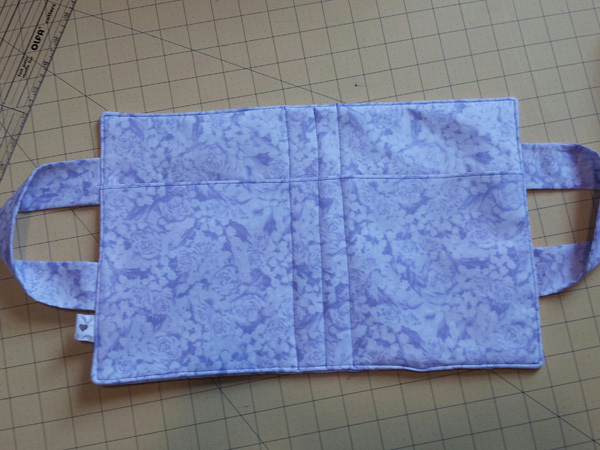 Now, put your pocket pieces right sides together and sew along 1 long edge for the top of the pockets. 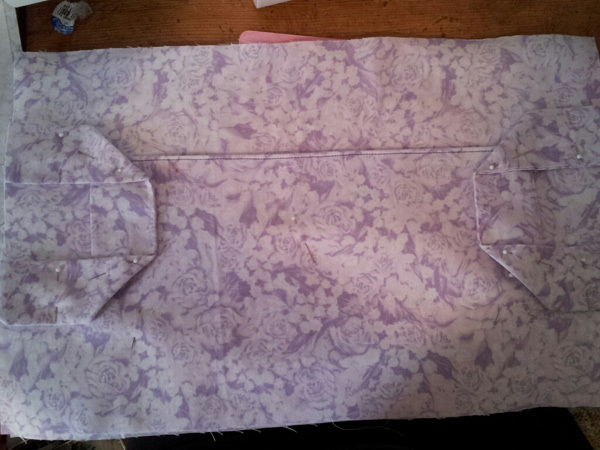 Then turn it wrong sides together and press the pocket edge and topstitch as pictured above. Now, we will make a sandwich. Start with your front cover (the fleece fused one) right side up. Then place the pocket on that, also right side up. This will be the outside of your cover. 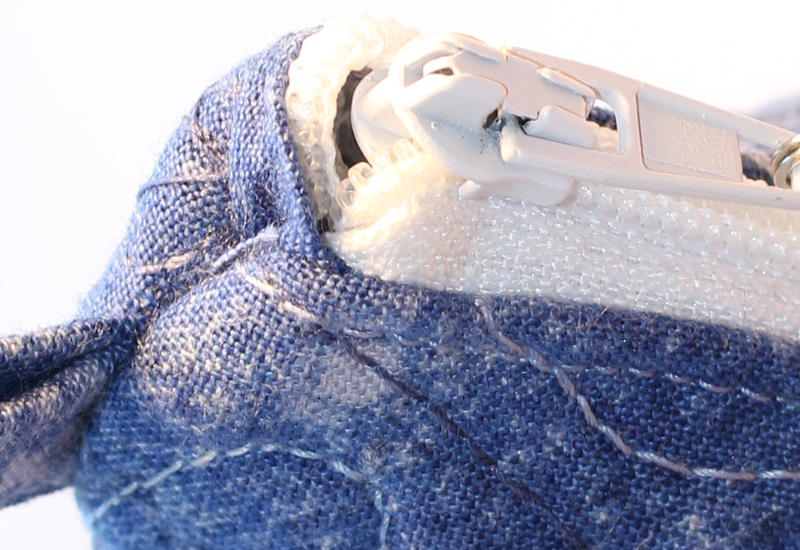 Make sure to align the raw bottom edges of the pocket piece with the bottom of the front cover. Then place the handles. They go in the center of each side of the cover, facing in so that just the raw edges get sewed in the seam. Pin the heck out of these so they stay in place and don’t get caught in the seam funny. I also placed a few pins along the pocket while I was at it. 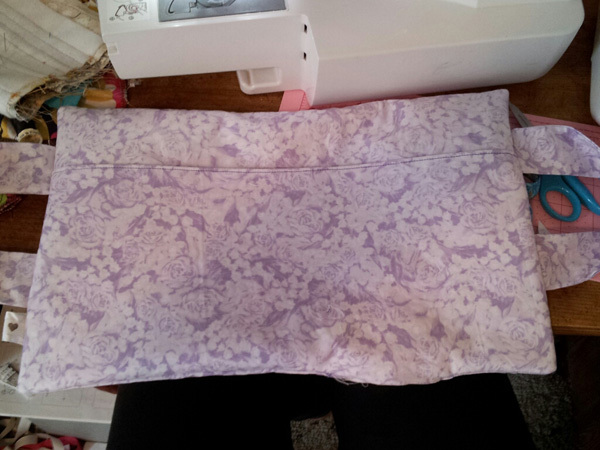 Now, time to sew. Sew around the Bible cover making sure to catch everything in your seam. Leave about a 3-4 inch opening in one side. I left mine on the bottom edge. Now, take out the pins and turn it inside out. Be careful, as you do this you’ll run into all the pins on the inside. I kind of felt around a bit and tried to remove as many as I could prior to turning. Turn it all the way out, poke the corners so they pop out nicely, then press flat. Make sure when pressing to fold in your opening nicely also. 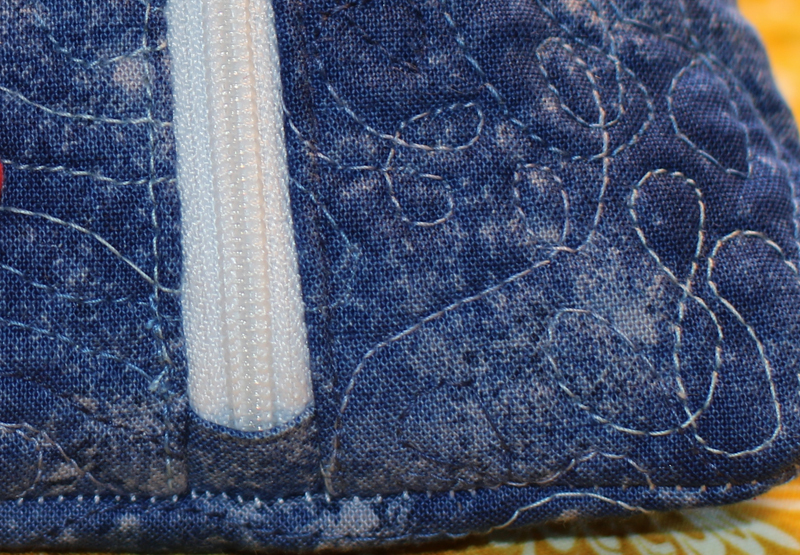 Then go ahead and topstitch all the way around making sure to use care at the opening where you pressed the edges in. Mine got wonky in that area because I tend to go too fast, so be warned! Use caution in that area if you don’t want a wonky bump on the bottom of your cover! Next, I drew 3 lines for my pen pockets. 1 line right down the center (top to bottom), and another line 1 inch on each side of the center line. I couldn’t find any marking pencil other than my white one conveniently, so as you can imagine that worked great with this fabric (not so much!) You might want to choose a pencil that contrasts your fabric. Just sayin! Then stitch down the lines. 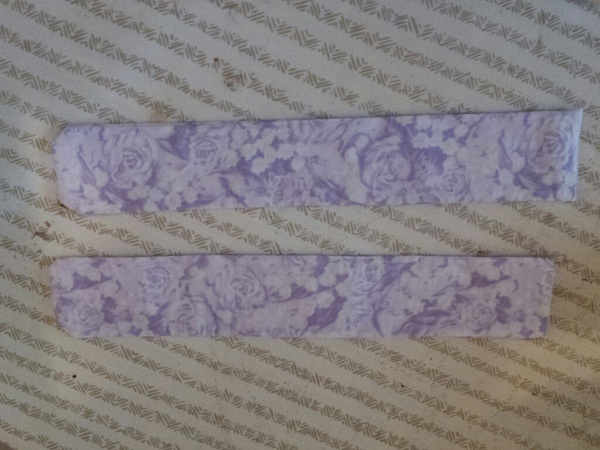 Next, I cut 2 pieces of ribbon the height of the Bible cover for the inside Bible straps. You could also use FOE if you’d like. 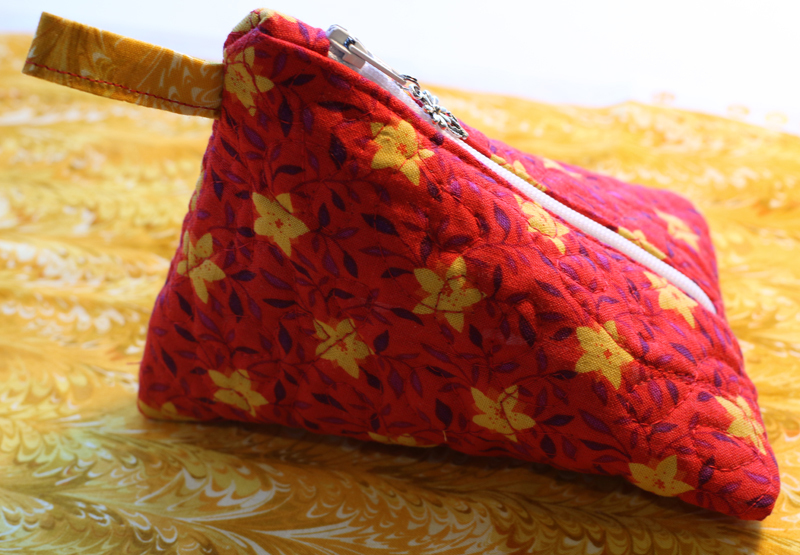 Fold over a tiny bit at the top and bottom and stitch down to the top and bottom of the cover, right in the center of each side, like so. Insert your Bible to make sure all is well. These don’t keep it super tight, but they keep it from slipping out. Enjoy your new Bible cover! Hey, that looks great, doesn’t it? Thanks so much to Kelley for taking the time to take all those pictures and write out all the instructions! If you make one of these, be sure to post it in our Runway!